What Is the Difference between Creatine and Creatinine? Lugols Iodine 6 drops in cup of water 3 times a day until symptoms are gone, actually do it about 2 to 3 days after symptoms gone. Usually takes about a week. Your heart is composed of two upper and two lower chambers. The upper chambers (the right and left atria) receive incoming blood and pump it into the lower chambers. The lower chambers (the more muscular right and left ventricles) pump blood out of your heart. The heart valves — which keep blood flowing in the correct direction — are gates at the chamber openings. Normally, deoxygenated blood from all over your body enters the right atrium and flows into the right ventricle, where it's pumped through large blood vessels (pulmonary arteries) to your lungs. There, the blood releases carbon dioxide and picks up oxygen. The oxygen-rich blood then returns to the left atrium through the pulmonary veins, flows through the mitral valve into the left ventricle and finally leaves your heart through another large artery, the aorta. The aortic valve at the base of the aorta keeps the blood from flowing backward into your heart. From the aorta, the blood travels to the rest of your body. This condition usually occurs when the diseased or overworked left ventricle isn't able to pump out enough of the blood it receives from your lungs (congestive heart failure). 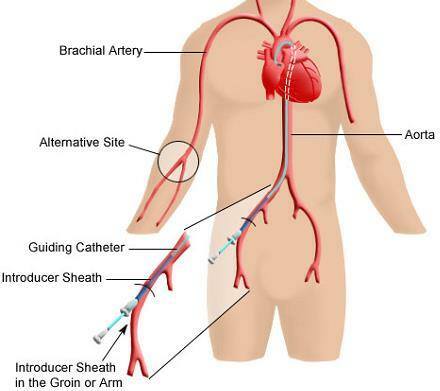 As a result, pressure increases inside the left atrium and then in the veins and capillaries in your lungs, causing fluid to be pushed through the capillary walls into the air sacs. Coronary artery disease. Over time, the arteries that supply blood to your heart muscle can become narrow from fatty deposits (plaques). A heart attack occurs when a blood clot forms in one of these narrowed arteries, blocking blood flow and damaging the portion of your heart muscle supplied by that artery. The result is that the damaged heart muscle can no longer pump as well as it should. 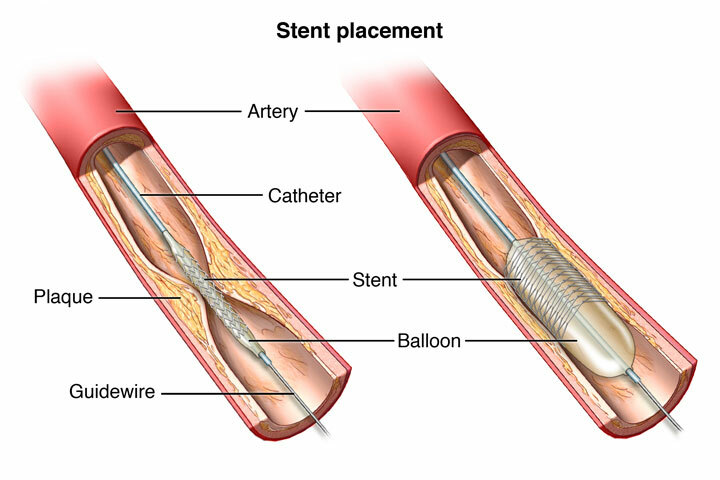 Or it isn't a clot that brings on the problems, but rather it is a gradual narrowing of the coronary arteries resulting in a weakness of the left ventricular muscle. Although the rest of your heart tries to compensate for this loss, either it's unable to do so effectively or it's weakened by the extra workload. When the pumping action of your heart is weakened, blood gradually backs up into your lungs, forcing fluid in your blood to pass through the capillary walls into the air sacs. This is chronic congestive heart failure. White vs Brown Rice: Why is Brown Rice Healthier? What is gourd juice? - Prevents diabetes: Though bitter gourd has many health benefits, it is mainly consumed for triggering the blood sugar level. Regular consumption of bitter gourd juice helps to prevent the rise of blood sugar levels. What does karela juice do? - Health Benefits of Bitter Gourd And Bitter Juice. Bitter gourd is a popular vegetable in some Asian countries, where the health benefits of the plant are well-known—particularly, its ability to lower blood glucose in diabetics. How good is bitter gourd for diabetes? - Bitter gourd lowers blood glucose as it contains a chemical called Charantin which reduces high blood glucose levels so it is very good for Diabetic persons. Bitter gourd influences glucose metabolism all over the body not like the other medicinal drugs which are effective only in one target organ or tissue. T Cardace 1.25mg - This medication is an angiotensin-converting enzyme (ACE) inhibitor, used alone or in combination with other medications to treat high blood pressure. It is also used to reduce the risk of heart attack and stroke in patients at risk for these problems and to improve survival in patients with heart failure after a heart attack. T Pantocid 40mg - Pantocid DSR is a combination of 40 mg of pantoprazole sodium and 30 mg of domperidone. Pantocid is used for the treatment of gastroesophageal reflux disease (GERD), non ulcerative dyspepsia, gastritis, dyspepsia, and duodenal or gastric ulcer. T Rosuvas 10mg - Rosuvastatin, marketed as Crestor, is a member of the drug class of statins, used in combination with exercise, diet, and weight-loss to treat high cholesterol and related conditions, and to prevent cardiovascular disease. T Cipro TZ - Fluoroquinolone antibiotics can cause serious or disabling side effects. Ciprofloxacin should be used only for infections that cannot be treated with a safer antibiotic. RBCs are microcytic hypochromic. There is moderate Anisopoikilocytosis showing elongated cells, tear drop cells, schistocytes and polychromatophils. WBCs are mildly increased in number. Differential count shows increase in polymorphs. PLATELETS are increased in number. Microcytic hypochromic blood picture with mild Neutrophilic leukocytosis, marked Thrombocytosis along with Erythrocytosis. Slow, chronic blood loss within the body — such as from a peptic ulcer, a hiatal hernia, a colon polyp or colorectal cancer — can cause iron deficiency anemia. Gastrointestinal bleeding can result from regular use of some over-the-counter pain relievers, especially aspirin. A lack of iron in your diet. Iron is the most common, but you can be anemic if you don't have enough Vitamin B12, Magnesium, Folic Acid and more. Many different vitamin deficiencies can lead to anemia. Anemia itself can also cause anxiety as a symptom. … So it is possible for someone to be anemic, and have that anemia lead to more anxiety. Can high haemoglobin levels pose a problem? Microcytic, hypochromic anemia can be caused by lead toxicity, chronic disease, thalassemia and hemoglobin E disorder. Iron deficiency is the most common cause of microcytic, hypochromic anemia. Ferritin blood levels are a measure of the body's stores of iron and are usually low in iron deficiency anemia. Anisopoikilocytosis is a medical condition illustrated by a variance in size (anisocytosis) and shape (poikilocytosis) of a red blood cell. The underlying cause can be attributed to various anemias, most often; beta thalassemia major, a form of microcytic anemia. A schistocyte or schizocyte (from Greek schistos for "divided" or schistein for "to split", and kytos for "hollow" or "cell") is a fragmented part of a red blood cell. Schistocytes are typically irregularly shaped, jagged, and have two pointed ends. The polychromatophil is an immature red blood cell which has already lost its nucleus. It appears bluer than a mature red blood cell (colored with Wright's stain) and tends to be larger than the latter. Neutrophilic leukocytosis is an abnormally high number of neutrophils (a type of white blood cell) in the blood. Neutrophils are a type of white blood cell that help the body fight infections and heal injuries. Neutrophils may increase in response to a number of conditions or disorders, including. Infections. Injuries. Erythrocytosis, also known as secondary polycythemia or secondary erythrocytosis to distinguish it from the chronic myeloproliferative disease, polycythemia vera, is an increase in the number of circulating red cells above the gender-specific normal level. Essential thrombocythemia (ET) is a rare chronic blood condition characterised by the overproduction of platelets (thrombocytes) by megakaryocytes in the bone marrow. It may, albeit rarely, develop into acute myeloid leukemia or myelofibrosis.